← A Flatlands Coffee Experience Is On Its Way. 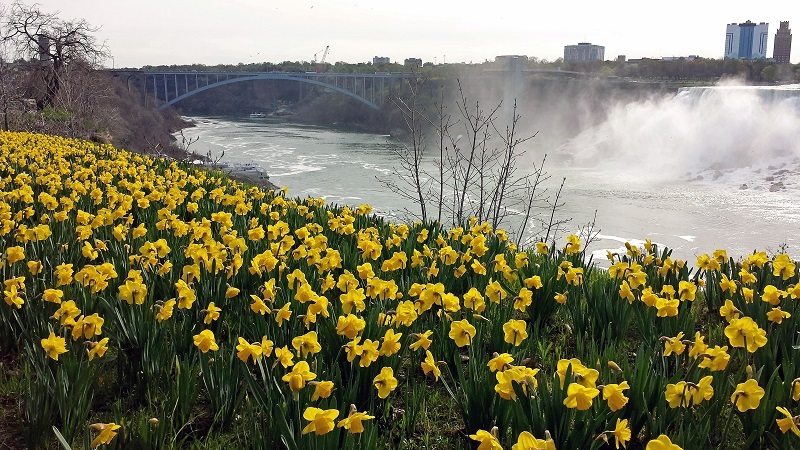 Niagara: The Flowers Are Guarding the Falls. When looking to photograph large scenes like city skylines I’m always on the lookout for something to capture and view in the foreground to give it a more unique look. 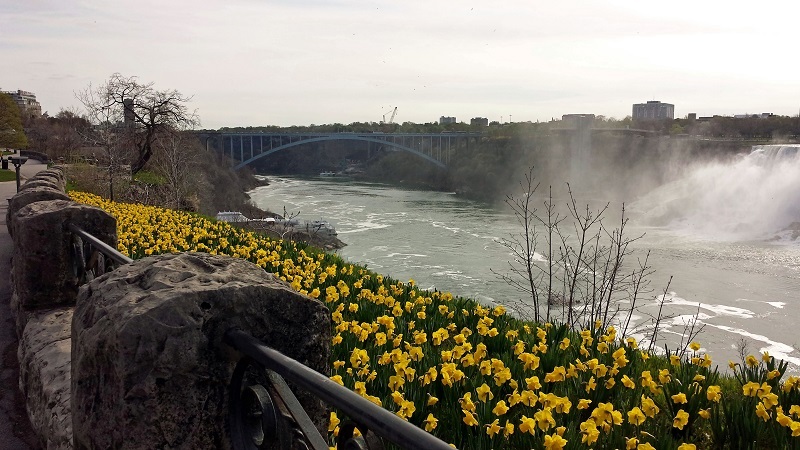 While walking along Niagara Parkway in Niagara Falls on the Canadian side recently, I was capturing the different Falls by themselves straight on. Being the beginning of Spring, flowers were popping up and being planted everywhere along the riverfront drag. I found my foreground object(s)! 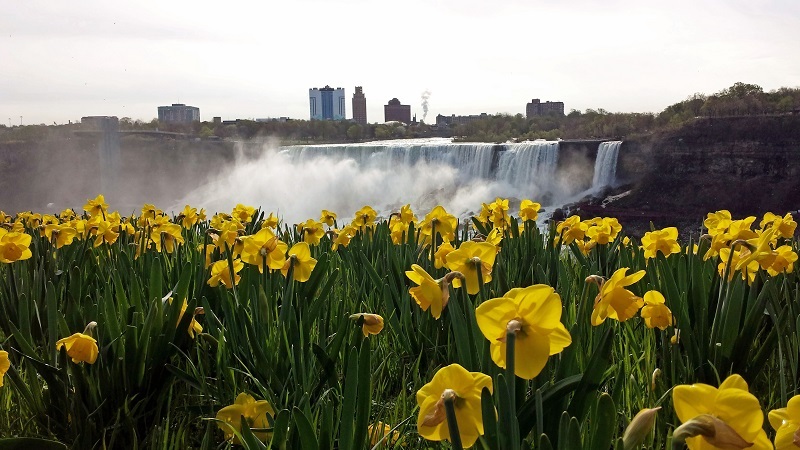 The scores of yellow daffodils made looking at and capturing the American and Bridal Veil Falls that much more scenic. 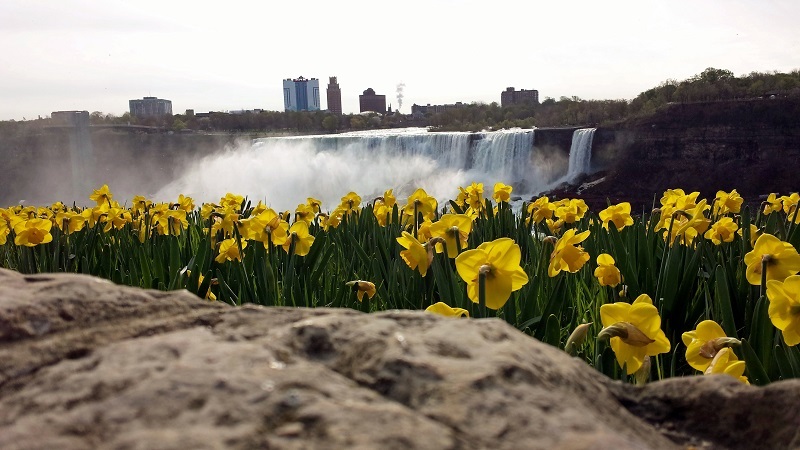 It looks like the flowers are guarding the Falls. Do you look for foreground objects when capturing a large scene? If so, what kinds of objects do you like best? 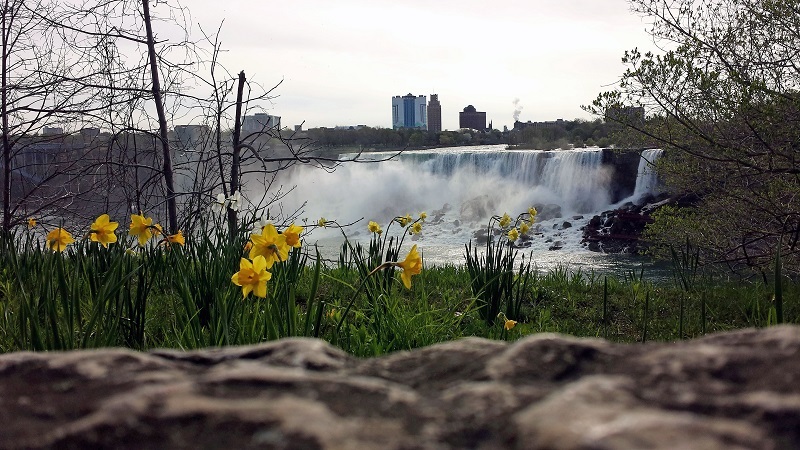 This entry was posted in Canada, Niagara Falls, Ontario, Photography, travel and tagged American Falls, Bridal Veil Falls, Canada, Niagara Falls, Niagara Parks, Ontario, photography, waterfall. Bookmark the permalink. Thank you, a beautiful, beautiful spot! Hi. I agree that something in the foreground can bring a distance photo to life…I was told by a photographer once that getting down low to the ground is a start, so perhaps there are flowers, trees overhanging, a rock on the floor…or even just me! I a much happier with my photos since I learned a bit about that. I was also told about using thirds as a way of sectioning the photo. Tricks of the trade…and if you don’t like it…put something there…wasn’t sure I liked that tip as much! I see people that put objects into the photo they are looking to shoot. I really haven’t done that except for coffee cups, since I’m an avid coffee drinker. 🙂 Have practiced the rule of thirds some, need to explore it more.